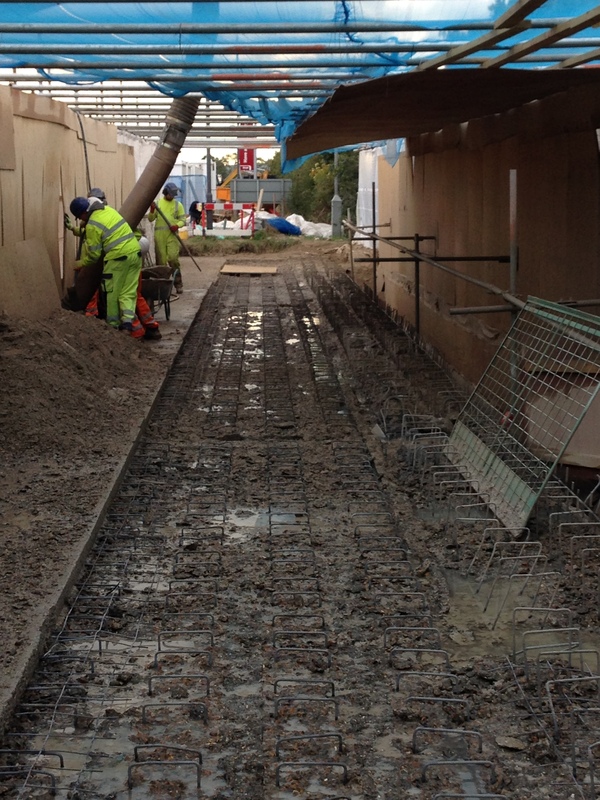 Recently, Hydroblast were tasked with removing the external parapets from two flyover bridges. 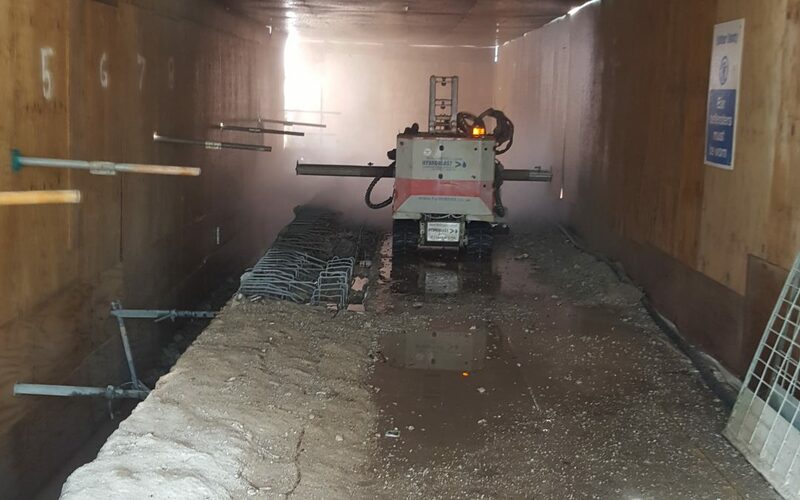 To accomplish this task (removing over 158m3 of concrete), we chose to forgo hand lancing, opting to use our robotic hydrodemolition equipment instead, as we knew that this would leave the smoothest finish. Before we began work, the client prepared the area, removing the steel crash rails and constructing a gutter to collect the waste water and concrete debris. Once this was done, we got to work! Our first job on site was to remove the upstanding concrete. To achieve this, we programmed the hydrodemolition robot to take away the same depth of concrete right across the width and length of the bridge, first removing 300mm to level the deck and then removing a further 300mm to leave an even finish. Thanks to the power of our hydrodemolition robot, we were able to complete this task efficiently, removing an average of 4-5m3 of concrete per shift. Once the external parapets were removed, we used a hand lance to mark the edge. We chose to mark the edge using a hand lance as we wanted to create an even break to prepare the deck for repair. Concrete removal complete, rebars were tied in, a new parapet was designed and fresh concrete was poured on top of the hydrodemolitioned deck. If you have a project which you would like us to accomplish, contact us today for a quote.